St Margaret and St Andrew at Littleham is a short drive from Exmouth. It is quite small and steeped in many years of history. An unusual feature of the church is the Font which has a suspended carved wooden cover and stands in front of the rood screen. 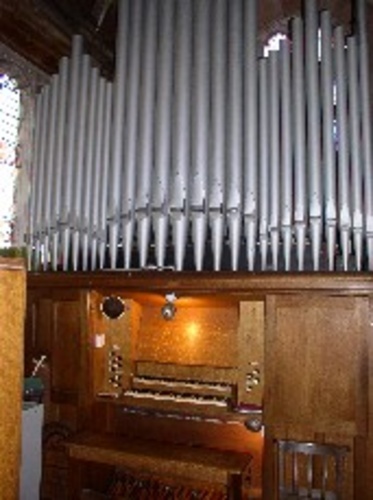 The small, two-manual organ has only nine stops and three couplers. It has a radial concave pedal-board and has also been fitted with a balanced swell pedal. It is at the north side of the choir, with the console facing west.